Watch wild dolphins and other marine wildlife on this guided, 2-hour salt marsh cruise near Charleston, South Carolina. Cruise the coast of Folly Beach on board the Tideline, a fast, agile, 12-passenger vessel. 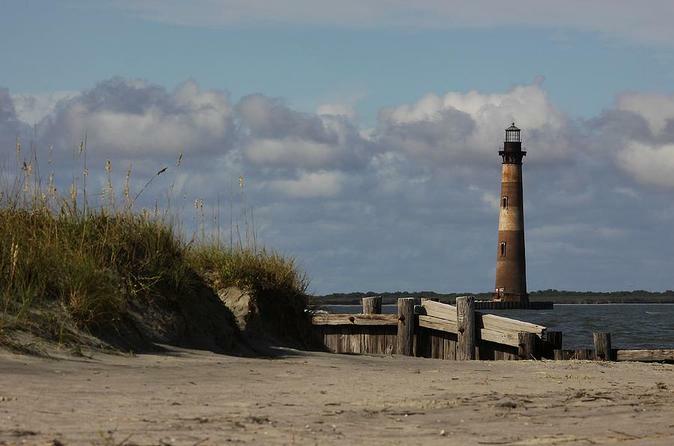 Also, experience a beach combing stop on historic Morris Island in Charleston Harbor, a strategic location in the American Civil War and the perfect spot to see Morris Lighthouse. Perfect for small groups or parties of up to 6 people. Bring a hat, sunglasses, sunscreen, water and a camera.